I decided to take a small plunge (really, more like stick my toe in the water) and try the Laneige Water Bank Gel Cream EX. Laneige is enjoying a growing presence in outside of South Korea, namely North America and Europe. 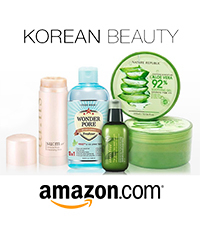 Asian beauty addicts in the U.S. in particular can now party it up in Target’s beauty aisle with the Laneige Water Bank line of products, various emulsions and serums, and the increasingly popular Laneige BB Cushions—which I may finally give a shot when the tradewinds blow this humidity away. Unless I melt into a puddle of sweat first. Anyway, that’s not what this is about. “Skin moisture rises to 153%* and skin temperature lowers by 2.4°C* instantly upon application. Winter Cypress Polysaccharide extract helps to soothe flushed and irritated skin while controlling excessive sebum for shine-free skin all day long. As some of you might know, though, we should be wary of the term “non-comedogenic.” Plus, test results in controlled settings can only translate so well in real-life. We’ll see how these claims fare! We must have the preciousss. That last one is literally just a picture of my arm. After about a week of PM use, my face felt a bit plumper and more hydrated than usual when I woke up. As usual, though, I had greasy skin when I woke up. I should probably address that, but I’ll do it sometime in the future… While it didn’t make me greasier than usual after my AM routine, it didn’t seem to help “[control] excessive sebum” either, like Laneige claims. I still needed to use blotting paper midday. I prefer using this in the PM, or as part of a shorter AM routine (i.e. just the Gel Cream). Although it might be better when the humidity eases up! Laneige’s claim that the olive squalene would “reinforce the lipid barrier in the epidermis” is hard to prove outside of a lab, though my skin’s slightly increased plumpness is evident of the gel cream’s moisturizing power at work in one way or another. My skin had already mostly recovered from being dehydrated-oily in the past, too, so I really can’t attest to that claim being true. As for “non-comedogenic,” while it’s an unreliable term in the skincare industry, I can attest to the Water Bank Gel Cream’s thin gel texture and, hey, no extra grease or acne for me. Everyone is different, though. Oh, and instantly lowering skin temperature by 2.4°C? You feel it, but only for an instant, alright. Laneige’s test results may not take into account that the gel cream will warm up quickly if it’s applied using the fingers. And the gel cream will warm up from your skin’s temperature. Besides, you will likely spread it on your face too quickly to fully appreciate the low temperature. There may be some merit in leaving this in the fridge for a while before use, but that’s the case with almost any moisturizer. The cooling effect is, well, cool but fleeting. Just like my soul. I know this is important for some folks. The scent is pleasant with floral notes, comparable to “shower-fresh” and “powder-fresh” fragrances. For me personally, it reminds me of something I’ve smelled before, but can’t quite remember…! The scent disappears after a few minutes. I might not recommend this for those whose nosy-wosies are sensitive to fragrances in general, but for everyone else, it’s perfectly fine. The scent adds a luxurious feeling to the end of my PM routine. Mmmm. I ordered 10 samples of this product on the RoseRoseShop website for under $2. For my fellow Americans, it’s available online and in-store at Target. At around $30 for a 50 ml jar, this might be considered to be around mid-price range. Sometimes, you might find it as the “Laneige Water Bank Gel Cream” without the “EX” part. According to a makeupalley.com review, the “EX” version is new (as of 2015). However, Cosdna only seems to list the product without the “EX.” As of now, there doesn’t seem to be a real difference aside from the name. I might be excessively fixating on this. Once I confirm the reason for these slightly different names, I’ll update it here! If pitted against products with comparable ingredients (especially in the “Western” market), and if it fits your budget, I think the $30~ full-sized jar is a great value. Don’t forget that heavenly texture and luxurious fragrance! I agree with Laneige: I highly recommend this for normal and combination skin types. It’s worth a shot for oily skin as well, but it might not work well for all oily folks’ AM routines; we might do better with a more mattifying daytime moisturizer. 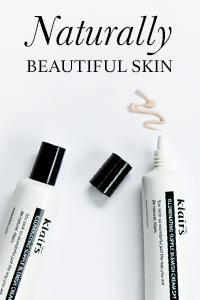 For me personally, it provides excellent moisture without adding greasiness or heaviness at all, like the description claims, but it also doesn’t help much in controlling oiliness. This product may not hit all of its promised points. However, it certainly lives up to the “Water Bank” in its name, and has a decent value. All in all, my current main goal isn’t more hydration, but I would purchase this again if it was. The Gel Cream pool / Is nice and cool / So juicy sweet! Have you tried this product before, or anything else from Laneige’s Water Bank line? 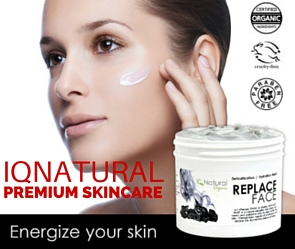 Still looking for your perfect moisturizer? Let me know what you think! Oooh, I hear a lot about the sleeping pack but not about this product, which actually sounds more appealing to me. Nice review. Also, I appreciate your use of Lego characters as props in product pics. You’re putting them to EXCELLENT use. I mean, how else would we know those sheet masks work during a walker apocalypse?